**I''ll answer your inquiry or reservation request quickly, usually within an hour. **If you're ready to book now, click on the 'Request to Book' button. If you'd like a quote, click on 'Send Message'. 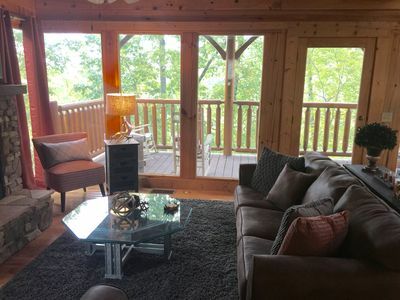 It's almost unheard of to find a cabin with our incredible mountain views with rates like this! 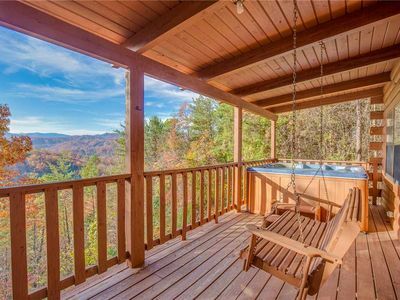 If you are looking for an affordable but perfect honeymoon or vacation cabin that has beautiful mountain views, yet minutes to all the attractions, shopping and restaurants, this is the cabin for you! 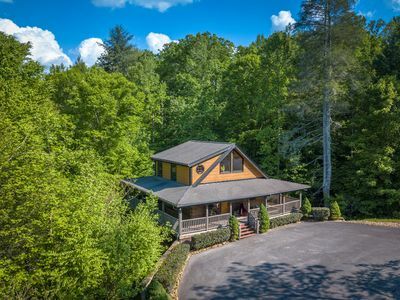 'Cabin of Dreams' is a very cozy 2 Bedroom (one in the loft), 2 bath log cabin located on Bluff Mountain, about 5 miles from downtown Pigeon Forge, approximately 8 miles from Dollywood and about 14 miles from Gatlinburg. 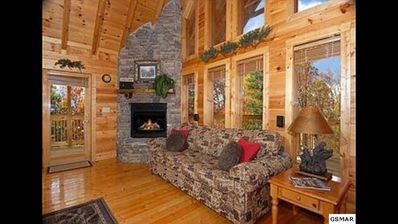 This beautiful cabin has some of the most spectacular mountain views that you will ever see!! 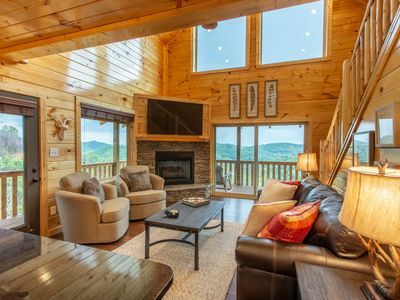 Our cabin features WI-FI, a gas log fireplace, color TVs with cable and dvd player, hot tub on the deck, jacuzzi in the loft, and a regulation pool table. 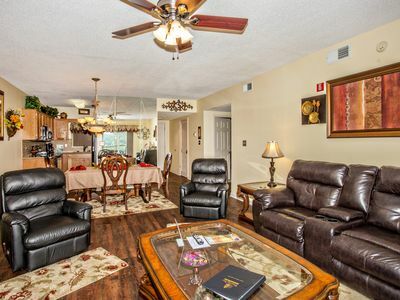 There is a full sized, fully equipped kitchen with dishwasher, microwave, coffeemaker, and charcoal cooking grille outside. 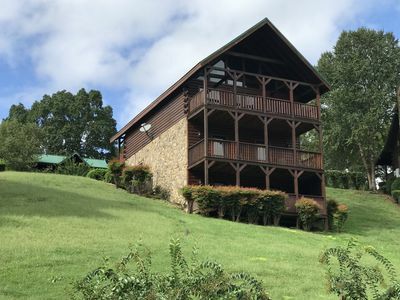 The bedroom on the first floor has a queen size log bed, and the loft has a king size bed with its own private bath and awesome views of the surrounding mountain ranges. 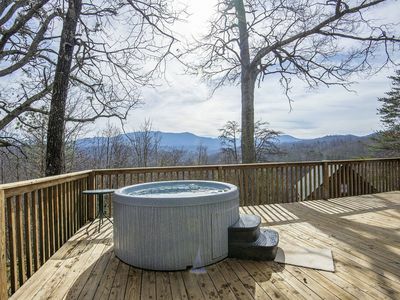 Relax in the jacuzzi in the loft while watching the moon and stars at night, along with all the city lights twinkling from Pigeon Forge-it's a beautiful sight! 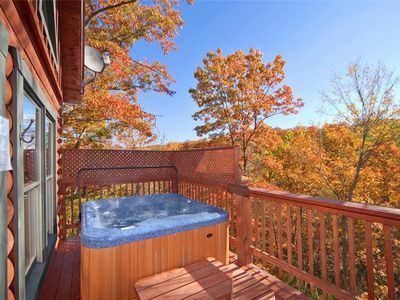 The large hot tub and rocking chairs on the deck are also great for relaxing and enjoying the panoramic, breath taking mountain view! 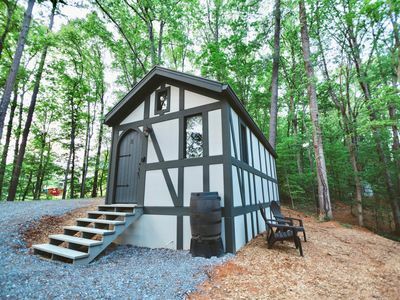 Perfect for your honeymoon or if you just need to get away for a vacation! 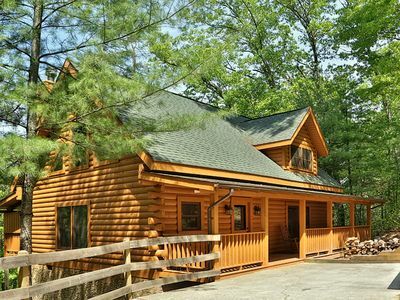 You will be re-energized and feel peaceful at The Cabin of Dreams! 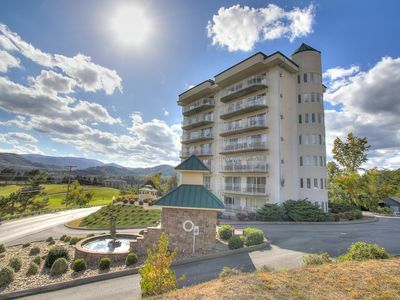 If you like to ski, check out Ober Gatlinburg in downtown Gatlinburg! Cades Cove is not far, so if you're a nature lover or like old historical places, check it out. It is an 11 mile loop through a well preserved old settlement, with log homes, barns, and churches, along with an abundance of wildlife. 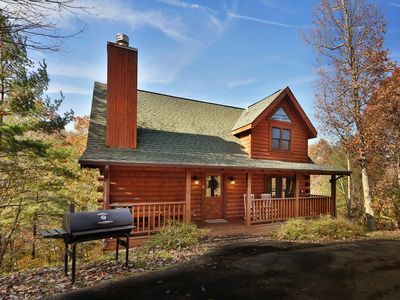 If you're a fisherman, the Pigeon River is about 20 minutes away, and the National Park is about 30 minutes away. 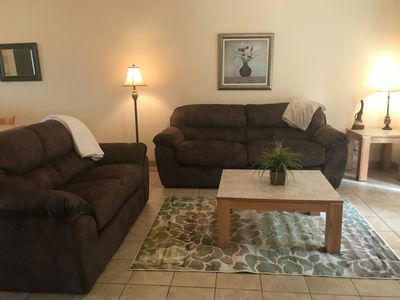 Another thing, If you are like me, you worry about renting someplace sight-unseen because you don't know what you will find when you arrive. 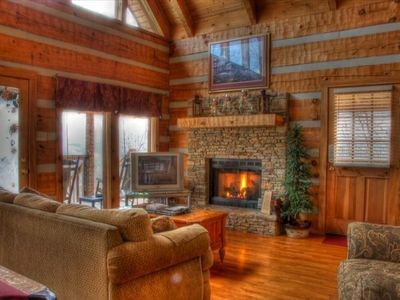 But the 'Cabin of Dreams' is beautiful, and our professional cleaners do a great job so you can be assured of a warm and inviting getaway that is very clean! PRIVATE LUXURY. 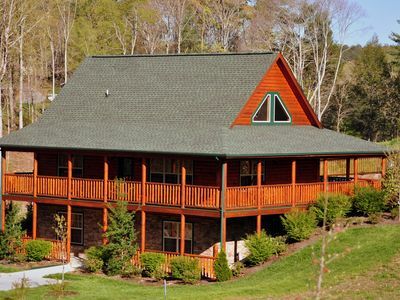 SPACIOUS AND UPSCALE CABIN WITH THEATER IN BEST AREA RESORT!! 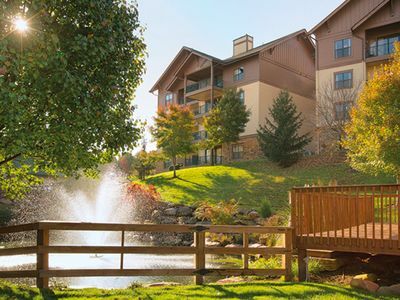 CLOSE TO ALL OF THE ACTION PIGEON FORGE HAS TO OFFER! 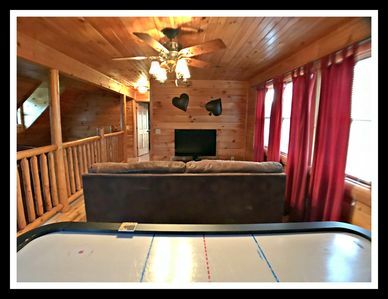 Pool Table, Hot Tub, Arcade Game, Foosball! 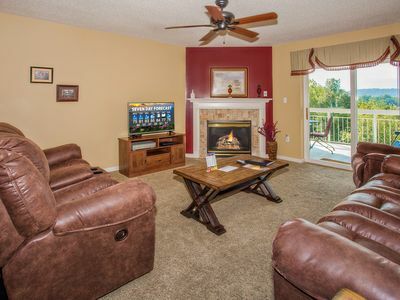 Walking Distance to Pool, Putt Putt, Fishing, Golf! 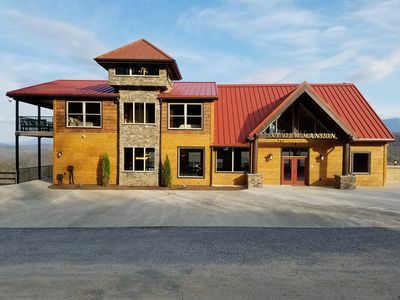 Brand New Cabin - 2BR plus Loft with A++++++ Views! Designer Decorated - Must See! 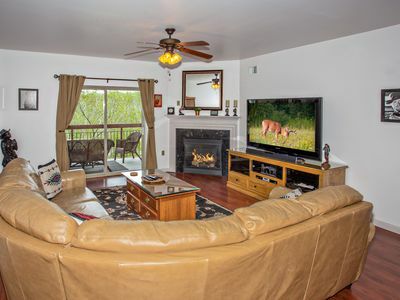 Never-Ending View | 3 Bed 2 Bath with Awesome Views! !